CINTEP’s patented technology gives you a shower that produces 3.3 litres at the showerhead for each litre of water consumed. This means you can provide your customers with a shower that gives great performance whilst you benefit from great efficiency. The technology is scalable. This means it is possible to provide showers producing 30 litres per minute at the showerhead, using less than 10 litres per minute to do so and therefore still compliant with the Code for Sustainable Homes. CINTEP’s Recycling Shower system is suitable for commercial applications in both new build and renovations. 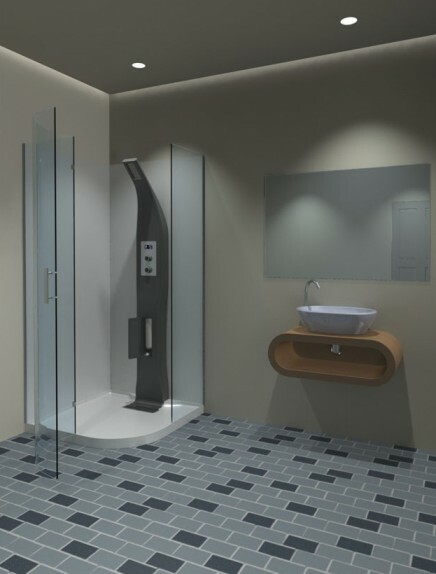 The shower can be installed as an invisible “in the wall” installation or, more visibly as a modern tower to make a statement about your organisation’s desire for sustainability. It’s your choice. One efficiency consultant calculated that payback on CINTEP’s system in a UK prison would be 18 months or less. In preparing a proposal for a trial installation on a forward operating base, payback was calculated at 12 days. Payback is particularly fast (less than 2 years) where there are high utility costs and / or high numbers of people using the shower each day. The patented recycling technology is designed so that water is never stored in the shower, water is never shared between users and all water in the shower comes from the mains drinking water, or filtered and heat pasteurised water. CINTEP’s shower incorporates a digital control system that enable 2-way communications with the shower (if required) which allows real time harvesting of data pm water and energy consumption plus the ability to control the shower remotely if required. 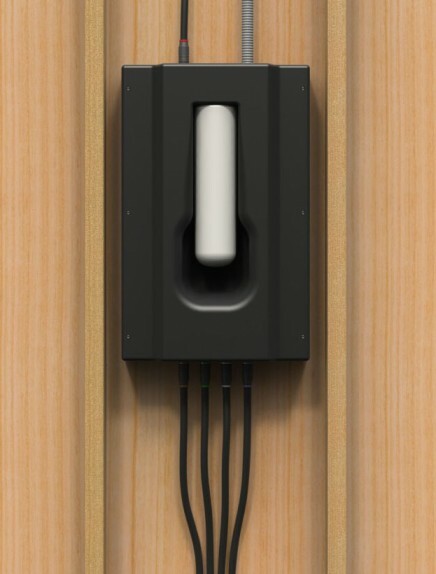 CINTEP’s shower system incorporates both wifi and Ethernet connectivity that allows real time communication with building management systems (BMS). This can be used to harvest information on power and water consumption in real time, to customise the shower user’s experience, to remotely control the operation of showers and to diagnose faults as they occur. 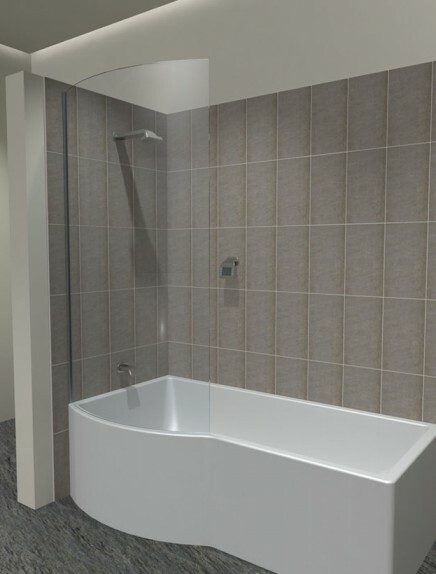 If you are interested in using the shower in residential settings, please see the technical specifications document below. For new builds, there is an opportunity to negate the need for a hot water service. Please use the Register Your Interest form and we will send you out more information and specifications.